A bill to ease the path to firing senior executives at the Veterans Affairs Department could face constitutional challenges, according to legal experts familiar will federal employment law. The 2014 VA Management Accountability Act, which has cleared the House and a Senate committee, would allow the VA secretary to waive the normal 30-day period in which federal employees are notified of their forthcoming termination or demotion and can challenge the decision. Legal experts, however, said the bill is unconstitutional on the grounds it violates due process protections. Cheri Cannon, an attorney for the law firm Tully Rinkey who has held several Senior Executive Service positions across government and headed SES policy at the Air Force, said senior executives are afforded essentially the same rights as General Schedule workers under Title 5 of the U.S. Code. That statute guarantees federal employees due process protections at the workplace. Additionally, Cannon said, the House-backed bill violates a precedent established by the Supreme Court ruling in Cleveland Board of Education v. Loudermill, which has previously been applied to the federal workforce. The U.S. Constitution’s Fifth and 14th amendments state that the U.S. government cannot “deprive any person of life, liberty or property, without due process of law.” The Supreme Court precedent in the Loudermill case defines a public sector job as the employee’s property, and therefore employees cannot be removed or demoted from such jobs without due process, Cannon said. Every SES employee being demoted or fired for misconduct has the right to know the charges against them, to respond in a meaningful way and to see the evidence the agency used to make its decision, said Cannon, the former chief counsel at the Merit Systems Protection Board. To remove this right, as the VA Management Accountability Act would do, would represent a violation of the Fifth Amendment, she said. Cannon also noted several technical issues with the way the bill is written. The legislation would amend Title 38, while the federal statute that regulates senior executives is Title 5. It would also reform the performance provision of the employees’ protections. 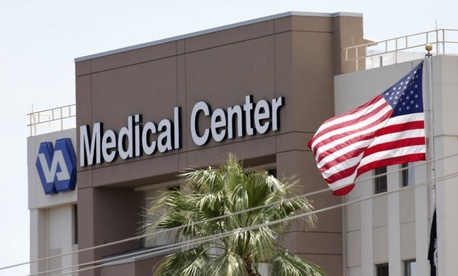 The accusations against VA executives, however -- creating fraudulent records relating to wait times at the agency’s hospitals or destroying them entirely -- represent misconduct, not poor performance, an important distinction. Several lawmakers took issue with VA’s ability to place misbehaving employees on paid administrative leave. If their misconduct was criminal, however, VA already can suspend the workers without pay and reduce the notice window from 30 days to seven. Debra Roth, a partner at Shaw Bransford and Roth, said if the bill became law, it would be the first step toward creating a partisan civil service. “Everybody can be fired,” Roth said of the bill’s provision to make VA’s senior executives “at will” employees, “for any reason or no reason.” She added the 1978 Civil Service Reform Act intentionally created a civil service free of political influence, both so employees were not hired for political reasons and so goods and services were delivered without partisan bias. “If you put [partisanship] in the civil service, you no longer have a civil service,” Roth said. A spokesman for Rep. Jeff Miller, R-Fla., the bill’s author, defended the bill. “We believe H.R. 4031 is on firm constitutional footing and the case that you cite does not affect federal civil servants,” the spokesman said. At a press conference on Thursday, the VA Committee chairman criticized VA Secretary Eric Shinseki for failing to fire enough people. For his part, Shinseki said he has forced out more than 6,000 employees in the last two years. The White House did not dismiss the bill outright, but noted in a statement after House passage that, “We do have some concerns that some provisions could result in significant litigation, which would divert valuable time and resources from VA’s accountability efforts and its core mission of delivering quality services to our veterans. But we’ve been very clear we want to work with Congress on specific language issues and look forward to discussing the bill going forward."